We need your effort and ideas to help spread the word about Basic Income. BIEN is an all-volunteer organization. We have no paid labor and hardly any budget. And so we have created several volunteer taskforces to work on projects over the coming year or more. Some of these taskforces have been around for years, but most of them are just getting started, and a few of them are just ideas at this point. We invite volunteers to take part in any and all of these taskforces, to help shape them, and to decide what needs to be done. Most of these taskforces have an open structure chosen by the taskforce members themselves. We also ask volunteers to join existing taskforces, and they can also suggest additional task forces. What taskforces BIEN ultimately has will be driven largely by what goals our volunteers choose to pursue. To get more info about any single taskforce contact the point-person listed for the task force. To volunteer, please contact the point person(s) (listed below) for the taskforce(s) that most interests you. If you’re not sure which suits you best, or if you have an idea for a new taskforce, contact Louise Haagh <louise.haagh@york.ac.uk> (BIEN chair). Affiliate Outreach: This taskforce is very active and energetic. 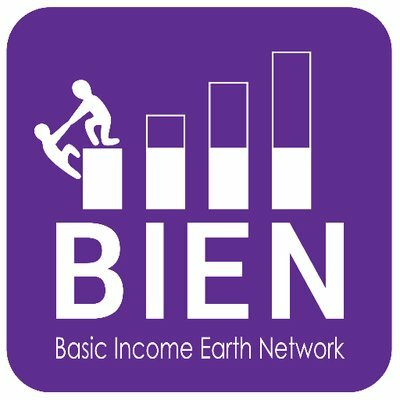 It’s job is to coordinate BIEN’s interaction with its dozens of affiliates around the world to plan joint strategy for research and educational activities to advance public knowledge and understanding of basic income and of public policy developments and debates linked to basic income. It helps the Local Organizing Committee plan BIEN’s yearly academic congress, such as by organizing a session in which affiliates report on their efforts to educate the public about basic income. Point Person: Jenna van Draanen <jennavandraanen@gmail.com>. Public Outreach: This committee is currently being spun off the affiliates outreach taskforce. It will aid in furthering joint events among relevant organisations and the wider public around the world to help educate citizens, and offer research-based engagement with local public officials and citizens, and support informed public debate and increase understanding of Basic Income. This taskforce will also investigate how to expand BIEN’s representation at relevant policy-making bodies and think tanks. This committee does not yet have an point person. In the meantime, contact Louise Haagh <louise.haagh@york.ac.uk> (chair of BIEN), Pablo E. Yanes Rizo <pyanes2007@gmail.com>, and Ana Klincic Andrews <anaklincicandrews@gmail.com>. Social media: This taskforce is a subcommittee of BIEN’s public outreach committee. It consolidate all BIEN’s social media activities on Facebook and other platforms. It’s a very visible taskforce with tens of thousands of followers on Facebook alone. It is in need of more volunteers so that we can do more things. Point person: Jason Burke Murphy <jason.burke.murphy@gmail.com>. Crowdfunding/fundraising taskforce: This taskforce will find ways to use our website, NewsFlash, social media presence, and other avenues to raise funds. It is working on a strategy to promote donations to BIEN online and elsewhere. Website taskforce: The role of this taskforce is improve the functioning and content of BIEN’s website. This taskforce needs a webmaster(s) and anyone with web-skills to maintain the website. It also needs people to decide how to create on BIEN’s website a depository of research and expertise: to consolidate BIEN’s web-page as a place interested parties can locate relevant experts and find information on policy studies, experiments, and published research on basic income and related topics. It currently does not have a Point Person. To get involved contact Louise Haagh <louise.haagh@york.ac.uk>. Research Taskforce: This taskforce is working on creating a online database of research on basic income, and to improve research on basic income in any way it can. Wikipedia Taskforce: This taskforce is a subcommittee of the research committee. It’s goal is to improve the breadth, depth, and accuracy about Basic Income on Wikipedia. We hope you will get involved. Guest has written 118 articles. Me encantaria de ser parte del proyecto de RENTA BASICA y vivir en tan hermosa ciudad como Holanda. This is a New concept.I am a retired M.D.,aUN Military Officer,Senator,now retired.Am 75years old.But military fit.Am from the South Pacific Island of Fiji.now 4 Yeats in the U.S.as a political asylum’following the 4 Military Coup in the country.last one in 2006 when I lost my Senatorship.I was known as Senator for the poor and deadly against racism.I still feel for the same cause today and am looking for ways to combat poverty and racial ,,religious discrimnation,Is BIEN a solution?I was poor myself and I hate poverty.zHave been doing Alternative Medicine for last 25years.Now a Researcher of the Chaelswellness International PLC registered in Las Vegas,Nevada. O como puedo viajar y vivir en Holanda .Utrecht.Soy Colombiana .vivo en Manizales y quiero o ser parte del experimento . Hi, i read aboit this website on the internet, on an article of msn. I wish’d to know what is this concept about, i read that i can aply to go living in Utrecht and work and improve professionaly my self, learn a new language and of course to know about the city and this beatifull country. If some body can answer my doubts i will really appreciate it. Heard a long time about the experiment, now reading I believe it´s a more than a simple experiment: very inteligent proyect for a better living! and being better humans also… I been feeling the cultural stress for Hard low productive work for several years, but believe can be much more productive, creative and happier if money could be a low importance matter in this ecuation. I know it´s a little late but my wife and I, think for a better future for our sons ( age 7 and twins 2 years old) In this order I would appreciate one opportunity to be cast in such big proyect or “Experiment” in a European country if possible. I live in Colombia wonderful country but sadly politicians and welthy companies are above the law and the cost of life is everyday harder and can see a bright future for my little ones. I am a social innovator and entrepreneuer and since 2013, after years in the corporate, world, have been working towards changing the lives of the bottom 3 billion people by promoting social innovation and entrepreneurship and making the world a better place to live for all. We are working on a system to rollout Unconditional Basic Income that can take care of people’s basic needs and free their minds to work on research and development to solve communal problems. I hope this forum can help us find some powerful minds and strong hands to contribute to our cause of designing a system that can provide each one of us on the planet Earth the much needed financial freedom on a sustainable basis to drive the homo sapiens evolve into social innovators and entrepreneurs.